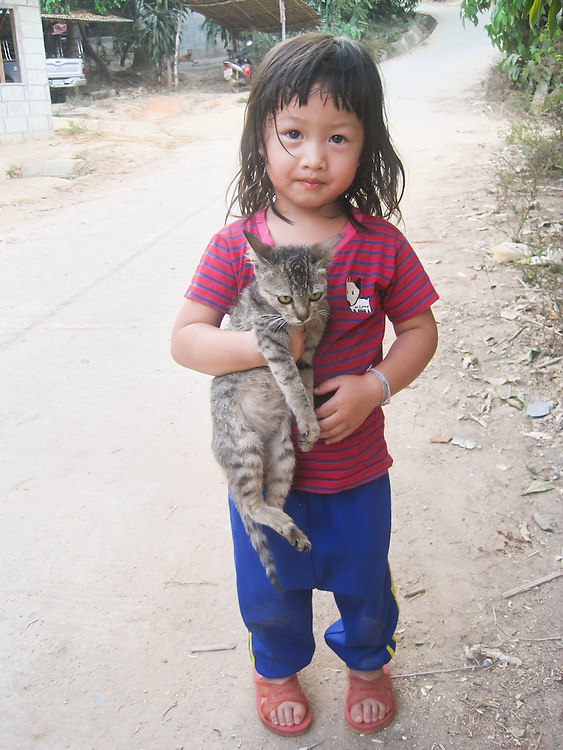 This is Mida’s cousin, and her cat, Ploykwan. Ploykwan is two years old. The road behind Ploykwan in Mida’s village, Mae Sa Pauk Village.